***Sorry, we cannot adopt outside the Southern California area***Meet Strummer! 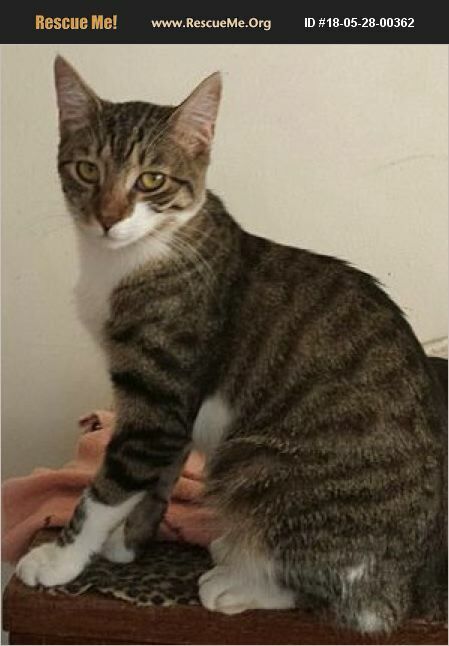 This handsome boy is an American Shorthair Mix. He was born about 5/2014. He has a beautiful brown/smoke tabby and white coat. He was rescued from a high kill shelter along with his sisters, Belinda and Billie. He is a very playful, sweet, and loving boy. Strummer is a very cool dude!